A tried, true, and steadfast halo car. There are two types of halo cars. The first is the kind that flashes across our consciousness like a meteor, only to vanish just as abruptly. These are the limited-edition, often high-performance, often big-ticket models that shine a spotlight on a manufacturer’s engineering and design prowess with the aim of elevating brand status. The second kind of halo car marries all that aforementioned flash with staying power. Rather than disappearing without a trace after a model year or two, this type goes on to become a mainstay of the manufacturer’s line-up—not in terms of volume (necessarily) but in terms of image (absolutely). When the Jaguar F-Type debuted in 2013, it seemed like it could be a one-off construct. But almost four years later, it has become an international cornerstone of the Jaguar brand. There are now 12 different versions of the F-Type available for sale in Canada, six of them coupes, six convertibles. While this pales in comparison to the 21 different versions of the Porsche 911 (the main target of the F-Type), there’s still time yet. Two versions, in particular, are of interest at this moment in time. The first is, sadly, no longer available in our market. The rear-wheel drive version of the F-Type R, sold in North America only in 2014, proved to be too much car for the average driver. Armed with a supercharged 5.0-litre V8 that developed a mammoth 550 horsepower and sent it all to the rear wheels, this Jag was a handful even in the best of driving conditions and at less than extreme speeds. Toss in some inclement weather and a too-heavy right foot and… well, you needed your wits about you. But this is precisely why the 2014 Jaguar F-Type R could well become a solid collector’s item down the road. Few were sold in that one model year, and it was an exciting and challenging car to drive. During a late fall event to Niagara-on-the-Lake, warnings about the power of the car came fast and furious from the event company responsible. The combination of fallen leaves and damp roads made the drive perhaps a bit too exciting—but some vivid memories were made. All of the higher-output versions of the F-Type now feature all-wheel drive as standard equipment (lesson learned, and all that) and, of these, the SVR is the most engaging by far. New for the 2017 model year and available in coupe or convertible form, the F-Type SVR is essentially an F-Type R ratcheted up to 11. The engine remains the same supercharged 5.0-litre V8. In this case, though, the wick has been turned up to produce 575 horsepower. This fact, combined with 25 kg less weight, enables to the SVR to hurtle to 100 km/h in a blinding 3.7 seconds. That’s fast—so, too, is the claimed top speed of 322 km/h. While these are impressive figures, the true genius of the SVR is in the AWD system. 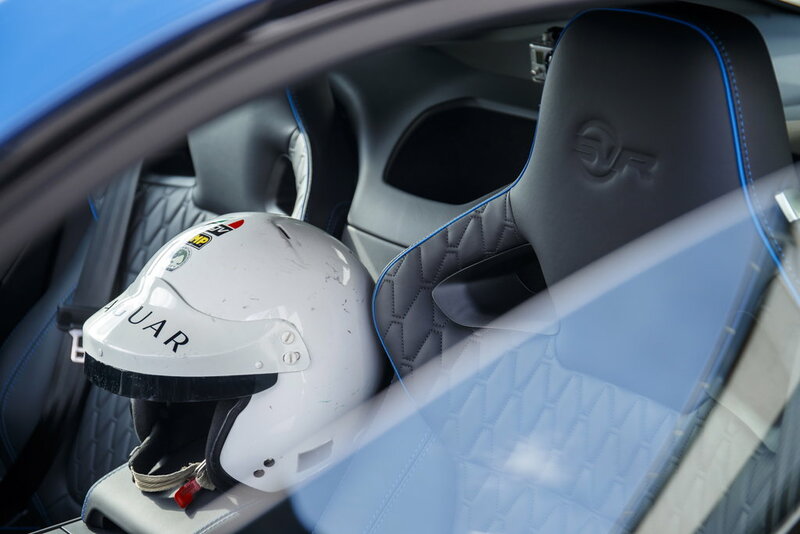 Employing a torque-vectoring system that over-accelerates the outside rear wheels during cornering, the Jag delivers superior traction combined with the feel of a proper rear-wheel drive supercar. The steering is beautifully precise and nicely weighted. With all the driving aids turned off, the F-Type SVR slides predictably and gracefully around corners while still generating forward momentum—it’s a rewarding dance for the true driving enthusiast. 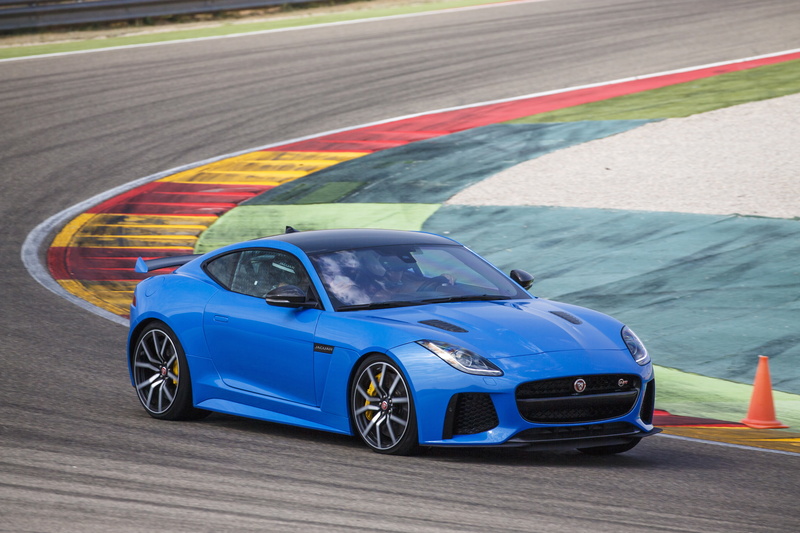 There’s no question that the 2017 Jaguar F-Type SVR would obliterate the 2014 Jaguar F-Type R on lap time around a closed circuit—regardless of the conditions. At Motorland Aragon in Spain, where a fortunate few had the chance to sample the SVR last summer, the longest straight produced speeds of over 290 km/h and the fast corners provided no shortage of thrills. 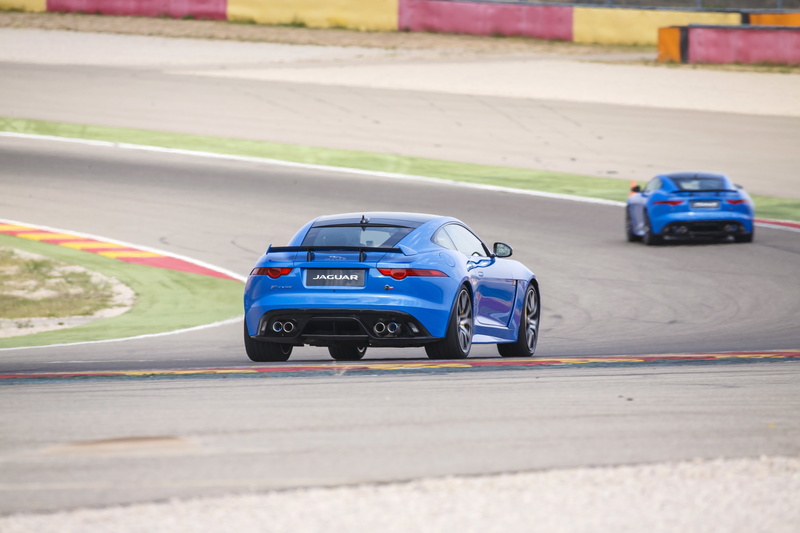 What’s clear from driving both of these versions is that the Jaguar F-Type is a halo car with genuine staying power. If you’re fortunate enough to land the riotous discontinued rear-wheel drive R (that will remain hard to find) or the new SVR supercar (which should produce lengthy waiting lists), you won’t be disappointed in the least.